Higher education articles, resources and information for a better career... for a better life. Not all colleges are the same. Explore the factors you should consider when choosing a college such as accreditation, cost, location and type of school. Explore the personal, financial and long-term future benefits of earning a college degree. Community colleges are quickly becoming the institutions of choice for many career minded students. Online degrees offer many benefits over traditional campus-based college programs. Economics, politics, and even philosophy are changing the ways in which students are completing their education. 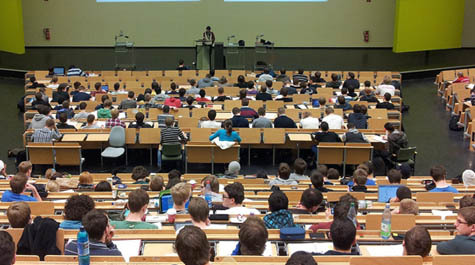 Higher education, also known as tertiary education, and often referred to as post-secondary education, occurs primarily at four-year colleges and universities. However, higher education also includes various other post-secondary institutions, such as community colleges, career colleges, vocational schools and institutes of technology. Higher education institutions award degrees and professional certfications. Explore a comprehensive selection of higher education resources, articles, and guides, including a searchable database of over 7,000 U.S. based colleges, universities, community colleges and technical schools. Explore popular higher education topics, resources and articles for educators, parents and students. Explore higher education topics and resources by category. Browse over 7,000 technical schools, career schools, 2-year community colleges, and 4-year colleges and universities organized by state. Our list of colleges includes every registered higher education institution in the United States and is updated annually. Data is based on IPEDs provided by the National Center for Education Statistics (NCES). Browse over 7,000 vocational schools, community colleges, and 4-year colleges and universities organized by major, field of study and specialty. To get started, select a field of study below and then a specialty.